Disclaimer: I received this complacency book for an honest review though IReadBookTours and for a book tour. We are welcome back to MO Prep and it students right before the start of a new term. Zeus and his siblings and friend Metis are all visiting Crete. They are there to visit and get introduced to his adoptive family. I loved this book and story behind it. Things get tense when they run into his former professors. There seem to be heated conversation with Zeus and Metis. We also find out who Metis parents are? 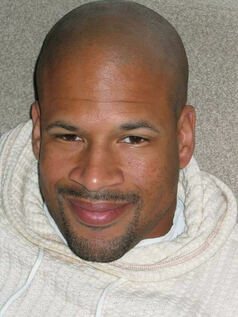 Chris Ledbetter doe a wonderful job with his characters. We seem to see the confrontation once again with Zeus and Titans students or at least some of them. What will happen at Othrys Hall? They seem to start their new term and find new member to join MO Prep. Once they do, they go about their day. Once in the afternoon they seem to get attacked by something of a Giants Creatures on their war game practice. What are they? Who sent them? If you want to know how it starts, I would suggest reading “The Sky Throne” by Chris Ledbetter. This one continues it. If you want to know how Zeus ends up with his struggles with toxin that Zenus has and is deal with during this book. Read the first book which I mentioned above. I also really think there something going on with how the professors of the lower and upper academy are treating the MO Prep students. I can not wait for the next installment of this story. I am left wondering what Kronos means and why he got sentence he got? There are surprises and secrets spilled. What happens to Hyperion? There are two trials that goes on. 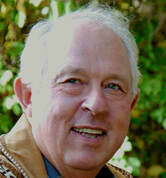 Chris Ledbetter is an award-winning author of short fiction and novels for young adults. “Jason’s Quest,” a short story retelling of the Jason and Medea Greek myth was published in the anthology, Greek Myths Revisited. 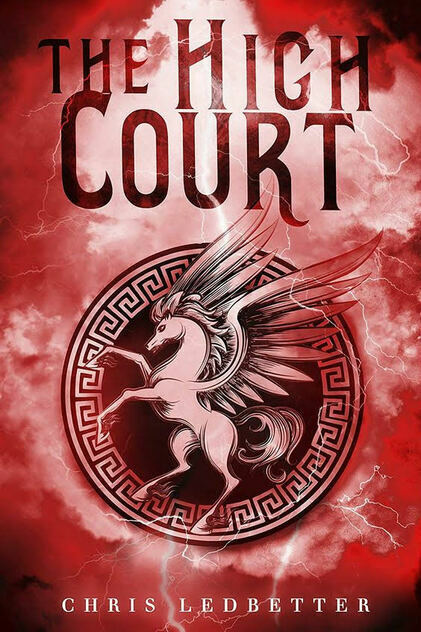 His first full-length novel, Drawnearned him two awards, Library of Clean Reads Best YA 2015 and Evernight Publishing Readers’ Choice Award Best YA 2015, as well as a USA TODAY “Must Read” recommendation. His second novel, Inked, concludes that duology. The Sky Throne is his newest young adult series. It includes, thus far, The Sky Throne and The High Court. Law Abiding Citizen meets The Brave One in this mother of all revenge stories with a twist ending. What lengths would you go to if the unthinkable happened to your child? Everyone is capable of murder. Everest was not the perfect mom, but what she was was fierce. After her husband Anthony died at the hands of a drunk driver, it was up to her to raise their daughter Mo alone. Her love for Mo was both unmistakable and unshakable. But when Mo failed to return home from swim practice with not so much as a text, Everest knew something was wrong. Will Everest find Mo in time to save her life? Better still, what will she do to the scumbag that brutalized her daughter? Counter Punch is a really short story to me. What you do if you were a mother and something happened to your daughter. How much would you do to protect your daughter? Well this story kind put that mother and daughter relationship to the test. We also learn that Mo is struggling with not only the loss of her dad but on top of that we get hear about an assault on Mo. Her mother is worried and knows something is wrong when her daughter do not come home after 3 hours of waiting. We are some what left in the dark as to who exactly attacked Mo? How it ends you will be surpised to no end. It leaves you wondering did Mo's mother help or did she kill the wrong man? The cops seem to have hunch but is it right? The author does have us hang on to find out what happens next. I would suggest this book for children at least be ages 15 and up. Though I am only suggesting that and it is really up to the parents of the child or children. They can decide for themselves. This book has death and crime and like I said an assault. The year is 1949 and the Second World War has exacted a terrible price on Britain. The great Yorkshire estate of Cavendon Hall is facing bankruptcy. Its two families, the aristocratic Inghams and their retainers the Swanns, are at odds for the first time in living memory over the course that must be taken to save it. Disclaimer: I received a complacency copy of this book free from the publisher that asked me to review a couple of books in request. My review is not influenced in anyway to be positive or negative so it my honest review. If you enjoy History or Historical fiction. 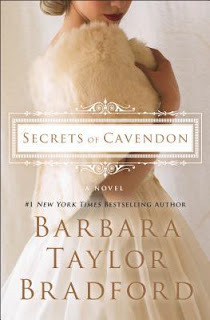 Secret of Cavendon may be one of the books to pick up. 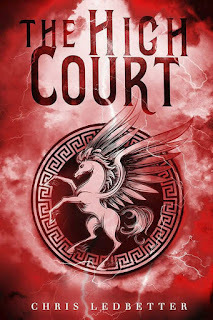 It is book #4 in the series, I think you read it as a standalone if you want to. The plot bring out quite a few romances. One may be dangerous. We see who the woman of Cavendon are and work together. We seem to learn more about history of the Swanns and Ingram's life. Well as we know we have Alicia, Cecily and Miles and their children. Get action and adventures. We also meet Cecily friends and or business partners. There change coming and will they be able to stick together though it all? There a murder, heartbreak, drama. Bradford does it all in one book. There seems to be several story lines going on though out he book. They all seem to be teeming from Cavendon. What are secrets of Cavendon that seem to be everyone is worried about. It seems that is in record books. If you are into British history or want learn a little bit about Britain and London this book is set in that area. You got Earls and Countess in this book. 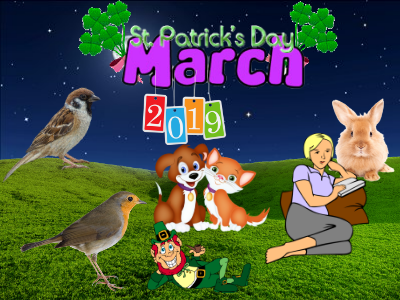 March is here. Though I think we finally see some form of spring. I have seen not much of it in flower blooming but the showers are here. Winter is trying to ling on. I think it finally giving up as march was left with some cold temps but nice brisk days. My books really fall in different genres for this past month. They are in 5 different media categories I believe as well. They will be shown bellow. I have read a total of 1,390 Pages for the month of March, This is seem like a good amount for just one month. The total for 2019 is 3,452 Pages. Disclaimer: I receive copy of this book free though IRead Book Tours as a Tour Host. My review is not impacted by author or Book Tour that my opinions are my own and honest. 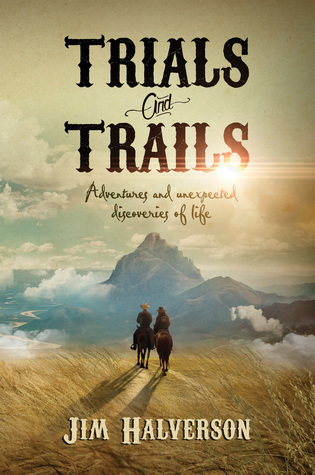 We follow a young man that joins up with another after a cattle drive in Nebraska that came from Texas. His name is Leroy. The man that helps him and join him is named Johnny B. We follow them as they had North and somewhat West. We learn about the lives a bit and nature though out the book. We go on trails and adventures with them both. It fun to see where they go and what they experience. They even meet up with a lady named Alice. They seem to want to help folks and find there their own way in the world. We learn about Leroy past and a little bit of Johnny B's. You will surprised at the end as to who Leroy's father is? I can not tell you as it would be a bummer and spoiler. What would do if you are treated as a slave but find out something socking about your parents? I wondered why Leroy was able to get a education along with the master's son? Did he know that he had a brother or not? The author does so well with story that you want to go along for the ride. I enjoyed it and would like read more by this author. He talented. He put me in the era that his story was telling. It was nice going across the west by horseback and being able to visualize the USA West as I was reading. 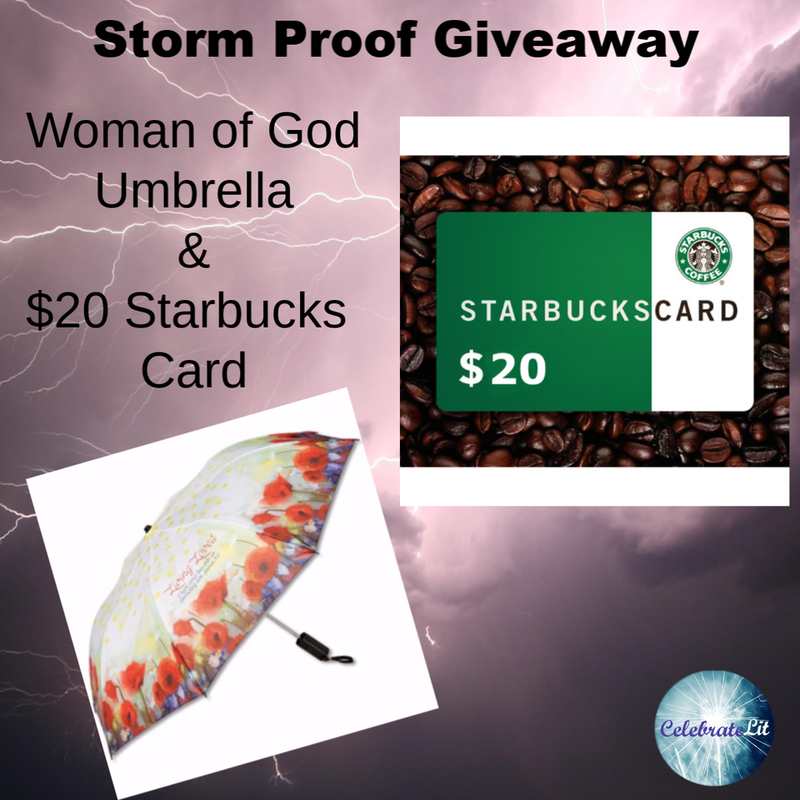 Go “storm chasing” through the pages of the greatest Book ever written! What storm has blown into your circumstances? Are you—or someone you love—suffering from the trauma of plans that have been washed away, relationships that have been uprooted, or security that has been devastated? Many believers have been known to ask, “God, where are You in this storm?” or, “Lord, did You send this storm into my life?” Just what does a believer do during a stormy season? 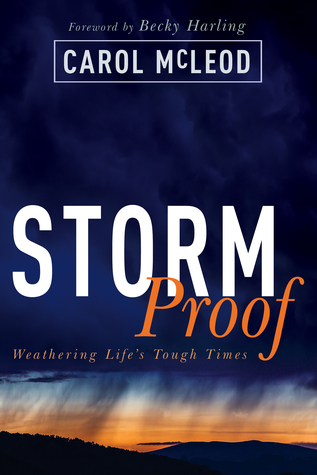 StormProof: Weathering Life’s Tough Times tackles these and other tumultuous questions. Storm Proof was something completely different then what I was expecting to read. I thinking it was going to be about a storm that you were going to proof. This is not a bad way to think that when I read the title it caught me to pick it up. As I was reading the book that what I got the impression. This book was boring for me to read. I did finish it. The reason for that is because it was on a book tour with me. I just could not get into reading it. I really could have just left it on my kindle. Thats how boring it was for me to read. Their was nothing wrong with it in any way. Author did good in writing it. It just was not a my taste of book. I felt like I was reading the bible or God Words, that is not me. If you are into reading the great book be my guess. No offense to the author. I thinking I would be reading a bit more about the author experience with Depression or her Cancer battle and how she manage them though this book. Then I might have seen using the scriptures of the bible or god's words. This is my opinion on that. Those that enjoy reading about God words or the bible, this book might be for you. 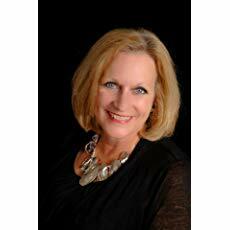 Carol McLeod is a popular speaker at women’s conferences and retreats through Carol McLeod Ministries. She is the author of ten books, including Guide Your Mind, Guard Your Heart, Grace Your Tongue (Whitaker House, 2018), Joy for All Seasons (Bridge-Logos, 2016), Holy Estrogen (Harrison House, 2012), and Defiant Joy(Thomas Nelson, 2006). Carol hosts a daily podcast, A Jolt of Joy!on the Charisma Podcast Network, and a weekly podcast, The Joy of Motherhood, which is listened to by thousands of moms around the world. Her blog, Joy for the Journey (formerly A Cup of Tea with Carol), has been named in the Top 50 Faith Blogs for Women. After her 2013 devotional 21 Days to Beat Depression had nearly 100,000 downloads in the first month, YouVersion picked it up, where it has been read over 500,000 times in five years. She also has ten other devotionals on YouVersion, including Guide Your Mind, Guard Your Heart, Grace Your Tongue. Carol writes a weekly column for Ministry Today and often writes for Charisma magazine. She is also a frequent guest on and has cohosted 100 Huntley Street. Her teaching DVD The Rooms of a Woman’s Heart won a Telly Award in 2005 for excellence in religious programming. The first Women’s Chaplain at Oral Roberts University, she currently serves on the university’s Alumni Board of Directors. Carol has been married to her college sweetheart, Craig, for nearly forty years and is the mother of five children in heaven and five children on earth. Carol and Craig are now enjoying their new titles as “Marmee and Pa” to seven delicious grandchildren! She and her husband will soon be moving to Oklahoma, where Craig serves as the North American Director for Global Partners, a missions organization that plants churches in remote areas of the world. Mattie Schrock is no stranger to uprooting her life. Even as her father relocated her family from one Amish community to the next, she always managed to find a footing in their new homes. Now as the Schrock family plans to move west from Somerset County to a fledgling Amish settlement in Indiana, she looks forward to connecting with old friends who will be joining them from another Pennsylvania community--friends like Jacob Yoder, who has always held a special place in her heart. Since Mattie last saw Jacob, they've both grown into different people with different dreams. Jacob yearns to settle down, but Mattie can't help but dream of what may lie over the western horizon. 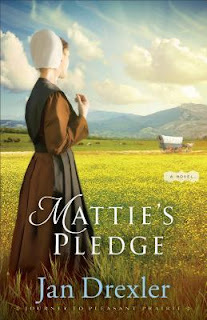 When a handsome Englisher tempts her to leave the Amish behind to search for adventure in the West, will her pledge to Jacob be the anchor that holds her secure? Tender, poignant, and gentle, "Mattie's Pledge" offers readers a glimpse into Amish life in the 1840s--and into the yearning heart of a character they'll not soon forget. Disclaimer: I can not remember how I received this book. I know I either entered a giveaway and won it or I got it from a book review for an honest review. My Thought are my own. When I read this it about Mattie and her family getting ready to journey west. We follow Mattie and her family. Not all are going West for more land and affordable prices. We learn that another family is going to join them to go west. Mattie has her dreams of see the Western horizon. Will she go and see the country or will she keep her pledge. Jacob see her and see Mattie after few years. It been a while. Is there love between Jacob and Maddie? There are some surprises along the way. Will happen with Schrock family and will they be happy. Mattie got her dreams and Jacob has his. What will happen. This is the story of Mattie. Will she be tempted to follow as Englisher or will she keep her pledge? Sonya is torn between her roots. She was born in the USA but her parents are Indian...she desperately wants to fi t in and be American. 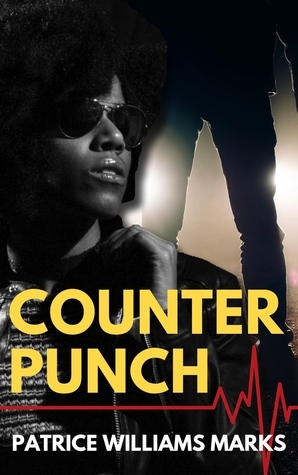 Her parents want her to embrace who she is, but Sonya feels like a misfit. This is a wonderful story about a little girl who discovers her identity and learns to appreciate who she is. 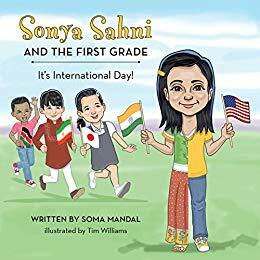 A must read for any child or adult who feels different from the rest of the world. Disclaimer: I received this book free from the author or publicist for and honest review. I get not compensation for my thoughts where they are negative or positive. The way America is today. You would not think that we may need a lesson in the Melting Pot. I have do think we do. Our children need to know that we are all different and we come from different cultures. Yes we are American but we also have what our parent are or from. This book put this introspective though a child eyes. It about a girl that is Indian and American. She having a bit of trouble fitting with her classmates. The pictures do the telling. It really is done well. I can see this being good for children and their parents. Young readers can read this book as well. The author does it well. She show what it like for a first American born by Indian Parents. This is really show the meaning of the melting pot when you read this book. The children show off their cultures on this project the teacher plans. It called It International Day.